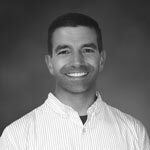 NE Hypnosis and one of their students wants to share My Experience With Weight Loss Hypnosis. Here is on of our I was overweight and not a happy guy. I had athletic friends that gave me suggestions every day. I tried going to the gym. Working out and then sitting in the steam room with a rubber suit hoping the fat would melt off. The workout routines and rubber suit didn’t drop the weight. My next idea was to join a hiking group. But I wasn’t in shape and almost fell to my death climbing over a rock cliff in upstate New York. The real problem was I kept eating. The diets suggested by friends who had lost weight didn’t work with me. I’d find myself eating less, but what I did eat was pizza, pasta and dessert. I wasn’t a salad guy, and the only fruit I enjoyed were apples. They had to be baked in a pie with a slab of ice cream. My last shot before I gave up and became a lifetime member of Chubby Guys Clothes – was hypnosis. The day arrived for my first visit to NE Hypnosis & Weight Loss and I was nervous as I climbed the two flights of stairs of the office building. My nerves calmed a little with the pleasant greeting I received at the top of the steps. I thought maybe I could skip the hypnosis and just do a couple of these stair climbs a day for a few weeks. I had never been put under before and wasn’t sure it would work or if it would have some kind of negative effect. Plus, the commitment of 3 evening session a week for 3 weeks would take up time. But I had gone on the web site and saw that some of the other types of programs. They mentioned that they said didn’t work were many of the programs I had tried. And, they were right, they didn’t work. So, we started off on the same page. I wiped the sweat off my forehead from feeling like I had already done too much exercise, and entered the room. Inside, I scanned the people and on a quick count came to about twenty women and just a handful of guys. I liked those odds, but I had to focus on the idea that this was one of my last resorts of losing weight. The room was set up in a large semi-circle of recliner chairs with a stool and podium stationed at one end. I walked over to a recliner at the end and laid down, and then noticed everyone else was sitting, so I bolted upright and sat on the edge. Once again, I looked around the room. People were talking to each other as if they had known each other forever. I wondered how people could be so loose when they were about to be hypnotized? Then a man entered the room and introduced himself as Bill, who welcomed and then thanked us for coming in and it seemed as if he could tell more than a few of us were nervous.. He went on to explain how each session would be set up. The first hour of the session would the hypnosis part where we would practice deep breathing to get into a relaxed state. He would then use what he called a guided meditation and visualization. The second hour would be the learning portion where he’d discuss the proper foods to eat for the fastest and safest fat loss. Then we got started. The lights went dim. Bill brought us into that relaxed state and I felt myself almost falling asleep. Since I had trouble sleeping the last few weeks, the session already was a success. Then he slowly put out reinforcing suggestions intended to turn off food cravings, sugar cravings, and other temptations. I wasn’t asleep but I could feel the suggestions making sense to me and digging into my subconscious mind..
After coming out of the deep hypnotic sleep, I was so relaxed all I wanted was stalk of broccoli, to kick back and have a conversation. Which the group did, discussing how we felt mixing in why we came into the hypnosis program. Being in the minority group of men, I wanted to come off as the strong man, not a guy who couldn’t even lose weight. I said, “I go to a gym and work out, but I was curious about hypnotism.” The male ego didn’t need to come out. The entire group was supportive and understanding. The second hour was what I was looking forward to; how to eat correctly and nutritionally since I wasn’t able to pull that off myself. They covered food preparation, which didn’t include me since I do not cook. Along with correct portions of meals, which foods groups to eat and how to incorporate this new knowledge we were learning about. I left that night feeling good. I was confident that I made the right move to check out a new way the drop the weight. But I wasn’t sold. Not regarding the program itself, but if I was strong enough after just one session. We had 3 weeks to let effects of the hypnosis set in. The sessions are on Wednesdays. Sunday was coming up and there were football and hockey games where I’d get together with the guys. Which meant plenty of beer, wings and other crazy appetizers. The opposite of what I had just been exposed to. But Bill had done his job on this first session – I called my buddies and opted out of that Sunday’s sports. I just wanted to be sure I was strong enough to stay the course and didn’t need too much temptation after the first week. After three weeks of talking with a group of very enjoyable people with the same issues as me, listening to their quick success in absorbing the program. I felt confident that I could continue with this new lifestyle. The eating plan was different from my normal routine, but not that hard to manage; especially when you realize the advantages. I now wanted to get into a regular exercise routine, but most important, I felt that I wasn’t going to be on a lifetime diet. I would just be changing my diet into a regular healthy way of eating. Now all I had to face was the pressure to consume junk food I’d receive when invited to watch sports or have a quick cocktail. I’d have to trust my new hypnotic conditioned responses to ordering a salad and a steak when going out to dinner. I think I can ‘suffer’ with an eating plan that allows that! 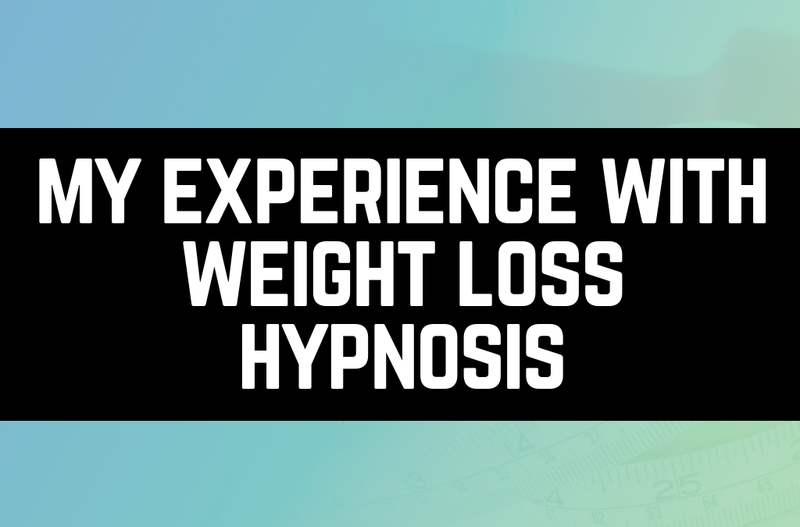 That was my experience with weight loss hypnosis, take a look at NE Hypnosis and the program they have to offer!